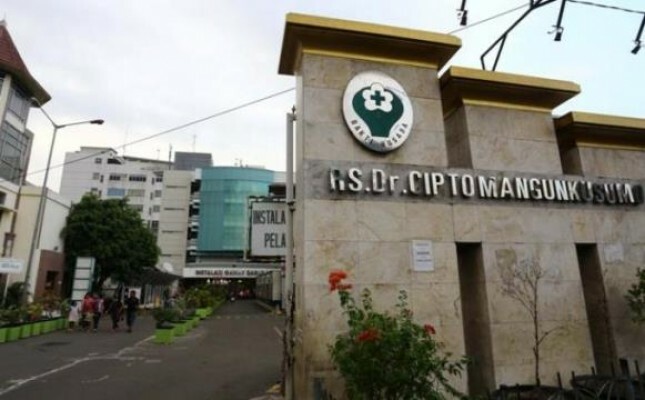 INDUSTRY.co.id - Jakarta - Dr Cipto Mangunkusumo Hospital (RSCM) launched a retinopathy examination service for premature infants to prevent blindness that will move around supporting hospital facilities around Jakarta. Director of RSCM Czeresna Heriawan Soejono in a press conference at RSCM Kirana Jakarta, Friday (17/11/2017) said the service named Jak-ROP or Mobile Retinopatri Prematuritas Jakarta Program will visit Pasar Rebo Hospital, Koja Hospital, Tarakan Hospital and Budi Hospital Asih for examination of eye abnormalities in premature infants that can cause blindness. Child's eye health expert from RSCM Professor Dr. Rita Sita Sitorus, Sp.M (K), Ph.D said the background of the Retinopathy Prematurity (ROP) examination program is moving due to the many advanced ROP cases referred to RSCM from a number of houses ill in the buffer zone of Jakarta. In fact, premature infants with ROP should be treated quickly before it exceeds 42 days postpartum prematurely. If it has passed the time, said Rita, almost certainly handling will be in vain and continue on blindness. With the Jak-ROP, Rita said, is expected to prevent the occurrence of cases of ROP in premature infants leading to an advanced stage and can cause blindness. Pick up the ball will routinely visit the hospital around Jakarta for ROP examination along with a team of doctors and a new screening tool available at RSCM once a week.